Since last many years, we are working on various social & civic issues, that include Environment, Pollution, Mobile Tower Radiation, UV Index, Power Tariff, Drinking water, Traffic jam, Parking, Water Logging, Sanitation, etc. etc. This page is about our City Delhi, that has been tagged as the Most Polluted City of the world. Must keep in touch for regular updates. 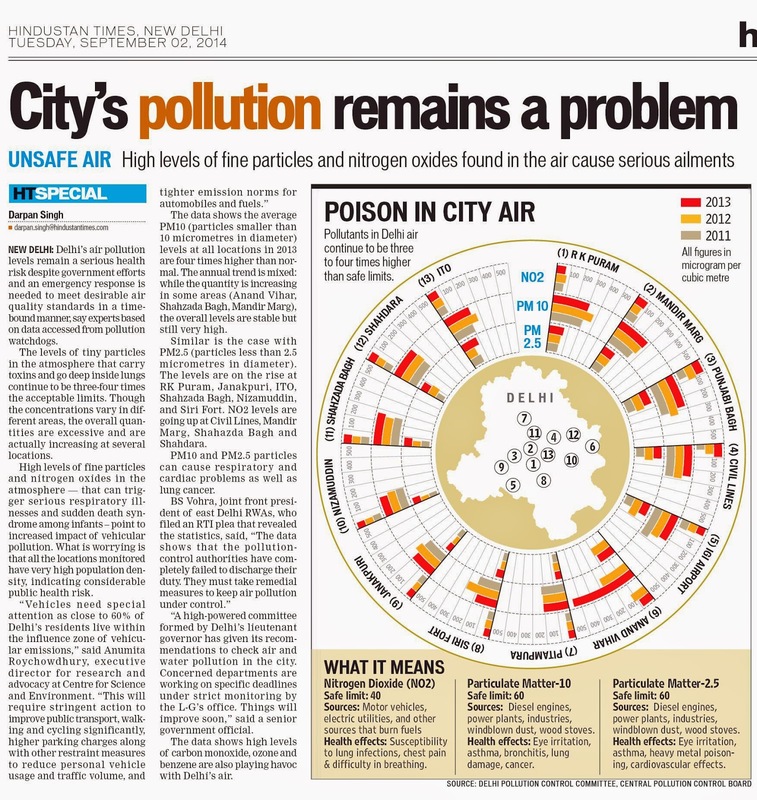 It was shocking to find that our city has become the most polluted in the world. We thought of checking the exact status and tried our best to contact DPCC as well CPCB. But there was no success. We asked them many a time for a meeting but nothing happened. Lastly we filed the RTIs at different levels. The results were shocking. As our next step, we collaborated with CIPLA & arranged Lungs Check up camps at Anand Vihar as well at Jhilmil as both these locations were the most polluted in Delhi. The result was again shocking. Almost 25% of the persons checked had the mild to severe lungs problems. Plz view the pics below. The process is still on. The war with the pollution is still on. We will keep on updating this page regularly with more & more details. We will be thankful if you can update us with facts & figures for the awareness of general public.